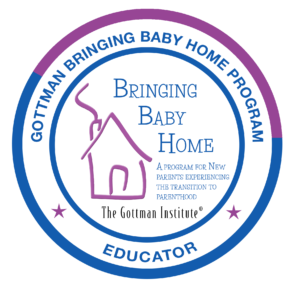 Bringing Baby Home is a 2-day workshop designed for pregnant and new parents that will give you skills and information to recognize and cope successfully with the normal stressors of becoming a family. This session focuses on learning marital skills needed to sustain a happy, healthy family for your parenting journey. Learn from 40 years of data how the “masters” of marriage manage to thrive, rather than survive, during the transition to parenthood and beyond. Research shows that 2/3 of couples report a decrease in marital satisfaction after transitioning to parenthood. However, attending this workshop reversed 3/4 of that downturn. Focusing on joy…babies are amazing! This day is open to all couples, regardless of sexual orientation or gender identity. This day is open to individual parents as well as couples, regardless of sexual orientation or gender identity. This workshop was absolutely life-altering for our family. The workshop was eye, mind, and heart-opening. Jami is a beautiful soul with gentle wisdom. The personal examples really helped me to understand the material. Dr. Grich is an ideal presenter & facilitator—warm, knowledgeable, patient & sincere. Thank you very much for an inspiring, challenging and fulfilling experience! This workshop is a must for new families! Jami’s presence and warmth is very conducive to it feeling like a safe place to explore difficult subjects. Jami was an excellent guide—passionate and knowledgeable. The presentation was well thought out, and Jami was excellent with questions and details. Jami is an amazing therapist & an extremely effective presenter. Jami creates an open and gentle space, which helps to facilitate a comfortable experience. This program, developed by renowned relationship experts Dr. John and Julie Gottman, is the product of over 40 years of research on couples and families. It is lead by by Dr. Jami Grich, who has over 20 years of experience and training working with couples. She augmentsthe program with practical information about resources in the Bay Area. A parent herself, Jami also infuses marital and parenting tips she’slearned the hard way with lighthearted humor and practical application. 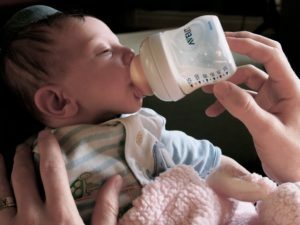 Bringing home baby will be held at Community Well, a center in San Francisco’s Excelsior District that has holistic services supporting overall wellness, early parenthood & a better quality of life. Note: Babes in arms are welcome to attend; Community Well is equipped with nursing pillows, changing tables, etc.